Heya Friends, Just wanted to pop in and let you know that the Lettered Life Shop has a new item on its virtual shelves. It is turquoise and cornflower and has polka dots and arrows....it fits in your purse and and is perfect for recording your dreamy thoughts. Here she is! Yep, she's a journal. And boy do I love journals. And notebooks. I think I'm just a paper goods kinda person. I have one notebook for work stuff. I have a journal that I use with my daily devotional. I have a notebook where I write down things that I really like from books. And I have one (or two or three) that I just record memories in, so I can remember them for years to come. There's just something about writing things down that makes me feel better. Maybe it's because I feel like I'm committing my recorded thoughts to a deeper level of memory when I jot them down, or maybe it's just because I like to go back and look at my own handwriting on a certain day and know that's what I was thinking about at the time. Whatever it is, it feels important to me, so I keep writing things down. So if you are writer-downer, hopefully this journal can be a happy place for you. I hope it can be something you can fill with joy, whether it's to-do lists, things you are thankful for, recipes, the first chapter of your soon-be-best-selling novel or whatever inspires you to pick up a pen and write. PS--more info about the journal in the shop! For me, it was important to have something that channeled joy. I take it with me most everywhere, so it should be a positive thing, right? One of my Making Things Happen friends, Emily Ley (who is actually leads MTH! ), talks about the importance of flipping your phone over so that the cover is face up. Not only do you get to show off your lovely case, but it's a reminder to stay plugged into what's going on around you. 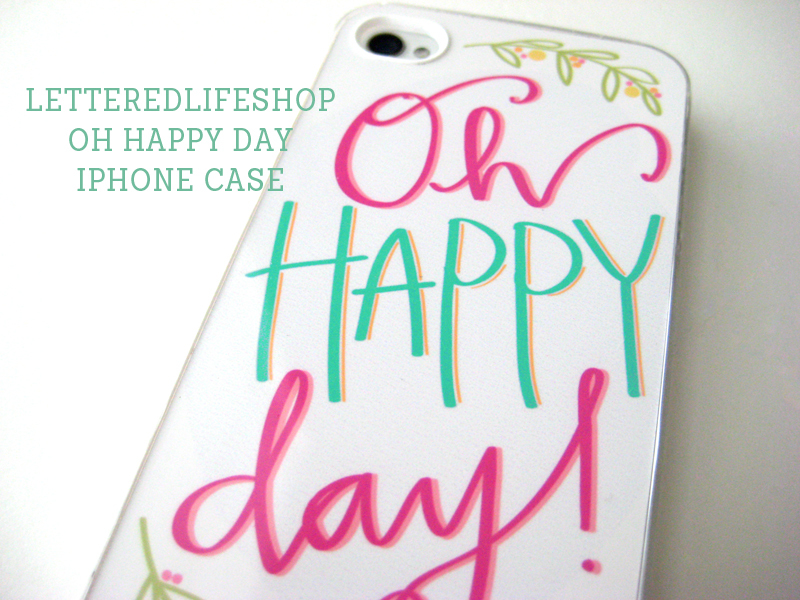 I find I'm way less likely to pick up my phone to scroll my life away when I'm looking at "Oh Happy Day" and remembering how blessed I am each time I go to pick up my phone. Hoping you're having one happy day!